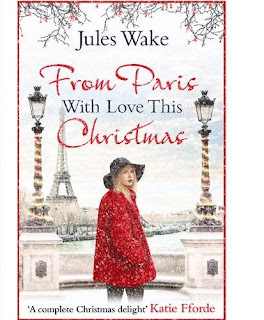 I'm absolutely thrilled to be joined in my Book Corner today by the lovely Jules Wake as we kick off her blog tour for her book, From Paris With Love This Christmas. Jules has joined me today and is talking about her top ten festive things! 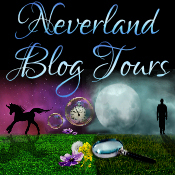 Thanks for having me on your blog, Laura. I love a good Christmas book, perhaps because they take all the best bits of Christmas and remind you of the best bits of your own Christmas holidays. There’s something special about these little golden parcels of pasty with their piping hot contents that say Christmas like nothing else. When I was a little girl, I would help my granny make mince pies and as the WI president, she was something of an expert. Now I make them with my son (not to WI standard) and it’s our special time together (even though he’s now taller than me). Making the first batch of mince pies really kicks off the festive season in our house. Christmas brings back so many special memories, one of which is of my much loved Granny (she of WI fame) who used to take me and my sister to London to visit Father Christmas at Selfridges. I remember skipping along outside the huge plate glass windows absolutely entranced by the fabulously opulent displays. Every year I still make a visit to Oxford Street to see the Selfridges window displays, which are always so clever and imaginative, although these days I give Santa a miss. On Christmas morning we invite friends and their relatives to the house for drinks. The key thing here is ‘their relatives’ – we all know Christmas with the rellies can become a bit fraught, so this gives people a little bit of a break on the day. It’s much easier to be sociable with someone else’s Great Aunt Ethel when you know you haven’t got her all day! My husband makes a mean Champagne cocktail, with a sugar cube, Angostura Bitters, Brandy and Champagne. They can be lethal but go down very well, although one year we almost sabotaged a friend’s lunch when her husband after consuming several glasses was too inebriated to cook. In the small market town I live in we have an annual Christmas Fayre which marks the official switching on of the town lights. The high street is decked in white lights, a Christmas tree in the square and illuminations which have been designed by children in local schools. Each year the town council holds a competition among the schools to find the best design and each year one new decoration is put up. It’s such a lovely thing and the growing collection looks absolutely beautiful. Every time I drive through the town, seeing all the lights lifts my heart. I love putting together the stockings for my family and I try to make them as fun and inventive as possible. 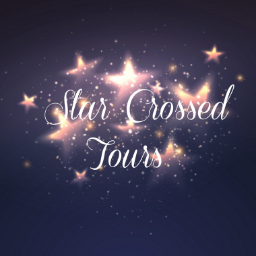 They have the standard things in like a satsumas, chocolate coins and reindeer, but I also try to include silly things that the children like or will make them smile. My son loves jam, so he always gets a pot of jam in his stocking. I also try to include lots of practical things like pencil sharpeners, erasers, nail varnish, guitar strings and hair wax. Our Christmas tree is a big deal. It has to be real, the whole family has to be present for it to be decorated and the day it is put up is the official start of Christmas in our house. Decorating it is a real family affair and we reminisce about past Christmas’s and relatives who are no longer with us, as we unwrap the decorations which have been ceremonially brought down from the loft. This is a really special time as it’s like unwrapping a great big memory box. I can’t sing a note in tune but when you’re in a cold car park, your feet virtually iced to the floor, there’s something rather wonderful about singing along at the top of your voice to Christmas carols with a brass band playing on the back of an articulated lorry. This happens every year on Christmas Eve in our local town and it’s a wonderful occasion when generations of families turn up to sing together. My absolute favourite part of Christmas, is Christmas Day breakfast. We all sit down together to eat our favourite smoked salmon, bagels and cream cheese and no one has to be anywhere else or do anything else in this time. It’s such a rarity in modern life, for us all to be together and I really treasure it. It might sound a bit strange that one of my favourite things about Christmas is the charity Crisis for Christmas. Unfortunately, Christmas is a time of conspicuous consumption and over indulgence for many, while there are lots of people who are not so fortunate, especially the homeless. Each year this fantastic charity, transforms several venues around the country to provide temporary shelter for homeless people for just over one week. Thousands of people volunteer their time to go and work in the shelters during the festive period to help provide warmth, food and shelter for those people who have ended up on the streets for many, many different reasons. Crisis embodies the spirit of generosity that Christmas should be about. Thank you Jules for a lovely post - I think most people will agree that family is a priceless time at Christmas due to no-one having to rush off and I love the fact you still put Satsuma's in stockings! 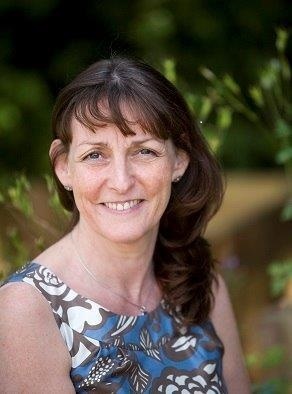 Bred but not born in Yorkshire, Jules considers herself an honorary Yorkshire woman and despite living in the Chilterns still misses proper hills. She’s wanted to be a writer forever and blames this on her grandmother taking her at a young age to the Bronte’s parsonage in Haworth. Despite early lofty ambitions, the path to published novelist took a wide diversion when after reading English at the University of East Anglia, she found herself in the glamorous and deeply shallow world of PR, which she rather enjoyed, and spent a number of years honing her fictional writing skills on press releases. After taking a creative writing course and finding no local writing group, she set up the Tring Writers’ Circle seven years ago. As a result it was incumbent upon her to set a good example and actually write, which was rather fortunate as with a genuine allergy to cleaning, she finds writing offers the perfect displacement activity. Jules' Christmas novel, From Paris With Love At Christmas, is available to buy now.